If you believe that increasing the size of your muscles will help improve the bench, then focus on training the muscles that received a 3 or more on the above scale. Give it 3, 6, even 12 months of hard training. Track your progress and try to establish your own personal correlation between your muscle size and your performance on the platform. 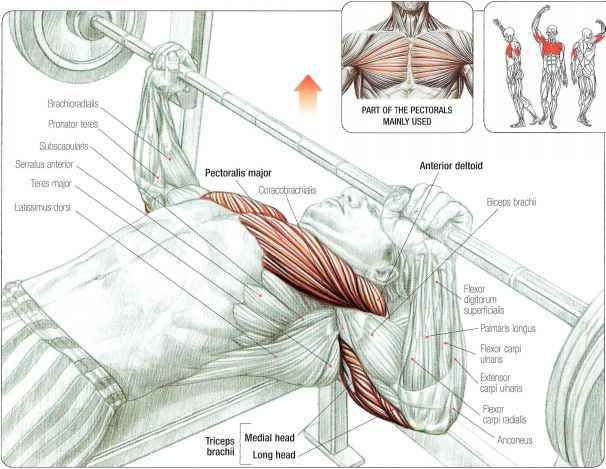 It is worth noting that because the bench press requires force to cross the least stable major joint in powerlifting (the shoulder) as you add size to your upper body you increase the stability of the joint, allowing for a much higher level of force production. This is why this lift is the typically the most affected by any change in bodyweight. What is this based of exactly? Great stuff. Has anyone ever done this for the Olympic lifts?